So far, outside of one or two protests from Jewish organizations, like the Simon Wiesenthal Center in Los Angeles, I have not seen any widespread outrage addressed to the Washington Post editors for the Oliphant political cartoon that appeared in yesterday's edition. Certainly, the Pulitzer Prize winning cartoonist is an equal opportunity offender. Just last month, Rupert Murdoch was forced to apologize when The New York Post ran a cartoon by Sean Delonas that compared a violent chimp shot dead by police to what many said was a stand-in for President Barack Obama, and hence racist in content. Oliphant has now moved on the Jews. In his new cartoon, he goes from criticizing Israel and Zionism to open anti-Semitism. In so doing, he is following the example of some in the British press. In January of 2002, the leftist New Statesman ran a cover depicting a gold Star of David piercing and dominating a prostrate British flag, with the title "A Kosher Conspiracy?" over the front. And a cartoon in The Independent in May of 2003 ran a cartoon of then Prime Minister Ariel Sharon eating a baby. Now, in his new cartoon, Oliphant echoes the kind of propaganda once favored by the Nazis in their racist paper Der Strumer, edited by one of Hitler's top journalists, Julius Streicher. What Oliphant does is show a headless Nazi-like soldier- an Israeli- goose-stepping Nazi fashion with his sword ready for action. He is ready to inflict a weaponized Star of David on a mother and child in Gaza. The right side of the religious symbol of Judaism is depicted as a shark coming at the hapless victims. If you think the comparison to the cartoons in Streicher's rag is going too far, take a look at this cartoon. 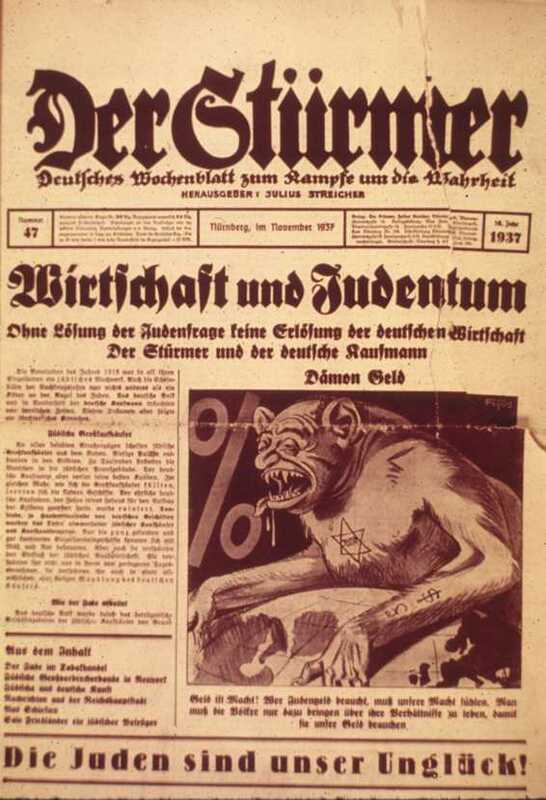 Or this one: the Jewish "monster" with his claw-like hands trying to take over the world. 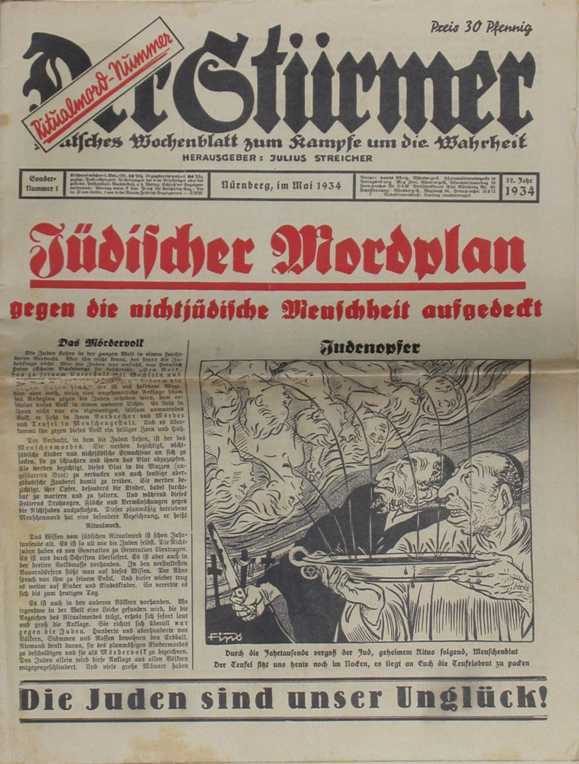 One might wonder if Oliphant consulted this Nazi archive for inspiration. What should we make of this obscene cartoon which obviously some editors at the Post feel is legitimate criticism in the growing climate of hostility to Israel. For many years, critics of Israel have argued incessantly that to criticize Israel and its policies is not anti-Semitism. Last week, Judea Pearl argued in an op-ed that in today's world, there is no difference between anti-Zionism and anti-Semitism. Mr. Oliphant has proved him correct.